Pair Review 2019: Is Pair a Good Hosting? Pair is a great choice for any type of web hosting, especially if you want access to some of the most popular website building platforms to manage your site. They also provide a number of VPS, Dedicated Server, and Server Colocation packages for those with more demands. If you’ve been around since 1995 and have been offering web hosting since 1996, you must be doing something right. Based in Pittsburgh, USA, Pair has a decent catalog consisting of shared hosting, managed WordPress, VPS, and dedicated servers and offer a range of additional IT services to help boost your hosting solution. They have upheld a great reputation and their pricing and packages are suitable for just about anyone’s hosting needs. As you can see from the features, Pair offers an almost complete service. The only thing you might find lacking is outright support for Windows, although you could install it yourself on their bare metal dedicated servers. Pair has even built their own custom control panel which is easier to use than most other platforms out there but still gives a decent amount of control. Even developers will be satisfied with support for multiple programming languages, Cron jobs, SSH access, etc. Pair even provides their own CDN service with a network map of 21 locations across the U.S. and Europe. Pair has a great reputation for performance and network uptime. However, only their dedicated servers are backed by an SLA while they claim to maintain 99.9% uptime for other products. In my case, and according to most of their customers, they are very reliable. Because they offer a custom control panel, it doesn’t automatically come with an auto installer like Softaculous for cPanel. So, you’ll have to purchase their in-house SIM tool if you want this capability. Pair falls within the low to medium range of shared web hosting prices. While you will be able to find cheaper providers out there, few will be able to match Pair in quality and features. For shared hosting, they have four simple plans suitable for anything from personal websites to large business websites. Although there aren’t any unlimited hosting plans, their resources are still decent for the price you pay. What’s better is that you get a few great freebies like the Weebly website builder, email hosting, and SSL certificate. Their billing also starts at monthly periods while only the annual option is discounted by 5%. Unfortunately though, you don’t get a free domain. Pair has one of the best and most reassuring money back guarantees valid for 100 days. Their managed WordPress packages might seem quite expensive, however, if you consider the fact that the higher tier plans are based on VPS or dedicated servers, it seems way more worth it. The two main addons they offer is their in-house Software Installation Manager and CDN. The first will be billed at a flat rate, while the CDN is billed at the end of the month based on your bandwidth usage. For WordPress customers, they offer full-service onboarding as well as certified support technicians. If you’re more of the self help type, they have a very good knowledge base full of guides and tutorials. The only argument I can think of against using pair is that they’re not the cheapest host out their and they don’t offer unlimited shared resources. However, they tick all the other boxes which still makes them a great value for money option. 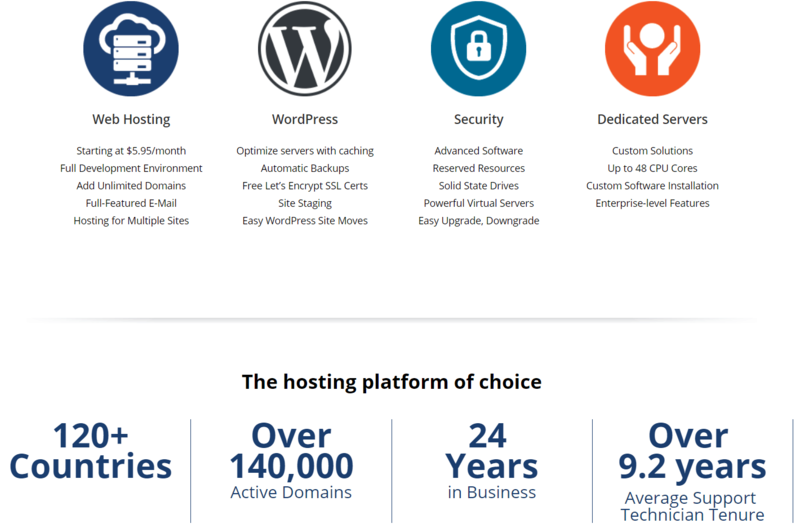 Wondering how Pair stacks up against other Web Hosting companies? Enter any other Web Hosting company and we will give you a side-by-side comparison.